A strategy game of planning with surges of energy. 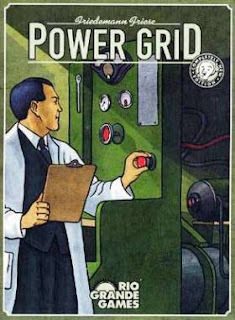 Power Grid is an economic game for the strategist. On a turn players will bid for power plants at auction followed by the buying of resources from the resource market, where the prices can vary by demand and by round. Next players buy cities and link them to their existing cities by paying connection fees. Revenue is generated by supplying power to the cities at the end of each round. Player order is determined each round by the number of cities each player has. The player with the least number of cities will go last during the auction phase and first during the resource and cities buying phases. Going last in turn order is an advantage, however if you fall too far behind it is challenging to catch up. 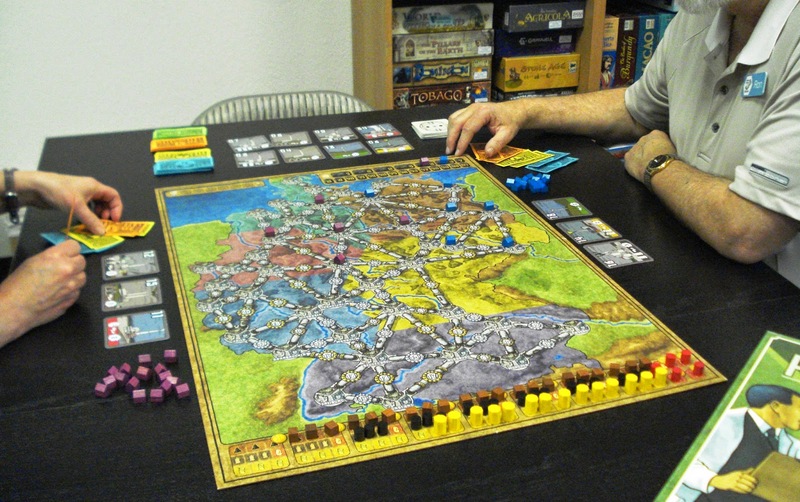 Power Grid requires a good balance in spending money between acquiring power plants, purchasing necessary resources, and paying city placement costs. Additionally, it requires deft management of turn order. We have an open copy of Power Grid available in our Store Demo Library for you come in and try.